These expansive apartments are loaded with fine features and amenities including huge private balconies, a fitness center, yoga room, racquetball court and modernized kitchens and bathrooms. 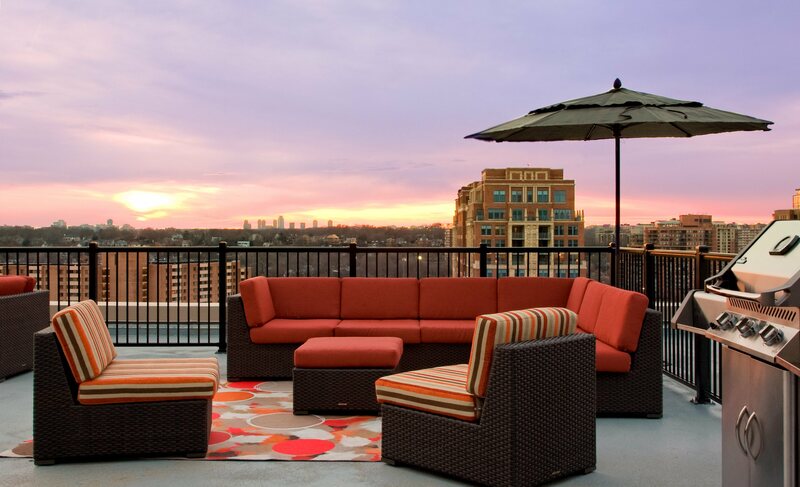 You’ll enjoy breathtaking views of downtown D.C.— and you’ll fall in love with your simple commute. Just a block away from the Crystal City Metro station and with easy access to I-395 and Jefferson Davis Highway, when you live at The Paramount, you’re able to get from point A to B in no time.